i cannot tell if the last jedi truly sucked or im just getting old. but im pretty sure it sucked. everyone of these ships gets blown up in first 10 min and the audiance has no idea if it was "worth it". very unclear when a sacrificial act is "worth it" or simply a "tragic death". apparently you can breath in space. love laura dern but hate holdo. must un fun action figure of all time. it takes luke 50 minutes to agree to train ray and then it like a yoga class. rose and finn travel around the galaxy and accomplish nothing aside from ruining a night in a casino. chewbaca feels guilty about eating meat! its implied that he has gone vegetarian! the plot is basically that the rebels are running out of gas. underwhelming. 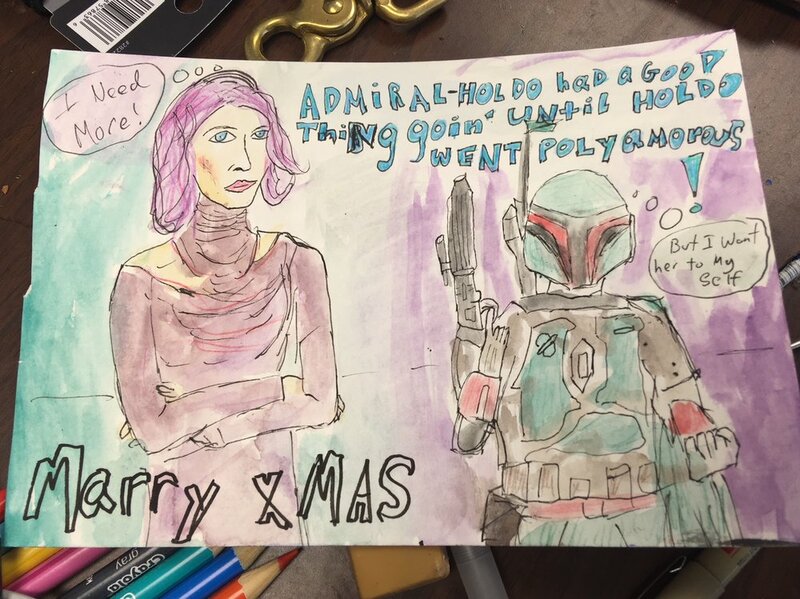 poe and holdo's conflict is as complex as a three's company episode. the whole thing could have been avoided with a sentence. poe commits a mutiny and leah and holdo basically roll their eyes and say "boys will be boys, lets keep him around". the rebels discovery on how to escape the salt planet is to leave the same way luke came in, and then you find out look was a hologram! ".